Start reading Phantom Terror on your Kindle in under a minute. Adam Zamoyski was born in New York, was educated at Oxford, and lives in London. A full-time writer, his books include ‘Paderewski’, ‘The Last King of Poland’,‘1812: Napoleon’s Fatal March on Moscow’, which was a Sunday Times bestseller, ‘Rites of Peace: The Fall of Napoleon and the Congress of Vienna’, ‘Warsaw 1920’ and ‘Chopin’. He is married to the painter Emma Sergeant. This flowing and fascinating narrative tracks a 60-year litany of popular unrest all around a Europe following the influences of the Enlightenment and French Revolution. Notably aided and abetted by Metternich, many paranoid European monarchs and ruling classes conspired, against the tide, to limit or eliminate the ‘gangrene’ of social levelling. Their objective was to prevent any degree of republicanism, any imposition of charters or constitutions, that would curtail their absolute hold over the masses and disrupt the status quo considered essential for stability. Apart from movements encouraged by the new progressive ideas, growing industrialisation was beginning to provoke an exodus from the countryside and widen the gap between rich and poor, provoking more sizeable underground of discontented and disaffected elements. Governments had to contend with hundreds of discontented secret societies and other groups, among which most notably figured Bonapartists, Carbonari, Chartists, Decembrists, demi-soldes, Freemasons, Illuminati, Jacobins, Jesuits, Jews, Liberals, Luddites, Tugenbund, and Ultras. We discover how rulers reacted to revolutions in neighbouring countries such as Naples, Spain, Piedmont, and Greece, as well as violent levels of popular unrest in their own country, including Britain (Peterloo, etc.). The most powerful and reactionary countries, most notably Austria, Prussia, and Russia, threatened to invade rogue countries inclined to introduce constitutions. At home, they variously reinforced linkage of the state with the church, the authority of the nobility, severe punishments for lese majesté, and they sometimes limited education. This was an era when armies represented the major part of States’ budgets, and where therefore they too had to be kept busy in order to stave off the negative effects of boredom. To repress at home, rulers also variously mercilessly employed armies or militia, introduced police forces, gendarmes, political police, spies and informers, read people’s mail in cabinets noirs, curtailed the freedom of the press and publishers, limited gatherings, censored, rigorously controlled travellers and travel permissions, and meted out punishments ranging from decades in prison to deportation or death sentences. The apparatuses created to ensure blanket surveillance became subjected to Parkinson’s Law. Entire side economies appeared based on informers. The new space available generated a significant industry of conspiracy theories, false reports emanating from those who either wanted or needed to please, or realised the pecuniary potential of what was wanted to be heard. Agents provocateurs reported on each other; suspects were spotted in two places at the same time; ‘approvers’ set up crimes and then turning King’s evidence to denounce accomplices. In France, Napoleon continued to be spotted for decades after his death. In Britain, it was feared that young Englishmen would return from France in order to spread the Revolution. Those in power, especially Metternich, came to believe in revolutionary ills being spread by an imaginary Comité directeur, based in Paris. Indeed, to its neighbours France remained the greatest ogre. During the time of the ‘usurper’ Louis-Philippe, Russian aristocrats were sent to Paris in order to spy on émigré Poles, others were sent to spy on them, and they in turn were spied on by a third group. Ironically, Russian students were diverted away from France towards Germany, leading to them to being exposed to Marx and Engels. Times have moved on, sort of. The reader is more than tempted to draw a few grim parallels with today. I have some much admiration for Mr Zamoyski. Great writer. Even sad events he can show in a very heart-warming way. A joy to read. Full of facts and fast moving. Yet another interesting and superbly written book by this excellent author dealing with important though often overlooked aspects of political development in Europe in the aftermath of the French Revolution and Napoleonic Wars. Many histories have been written of the “Age of Revolution”. 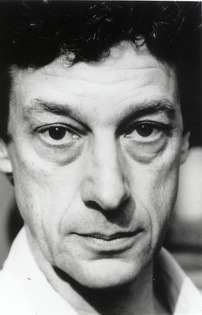 Adam Zamoyski does offer something different, even contrary. For him it was more an age of the fear of revolution. It is refreshing to read a challenge to conventional ideas. A familiarity with the standard story is a prerequisite, though. The emphasis is actually on the period after the defeat of Napoleon and the re-establishment of “order” at the Congress of Vienna in 1815. Europe’s rulers, orchestrated by Metternich, set up a network of repression and surveillance, backed up by armed force and invasion where required. 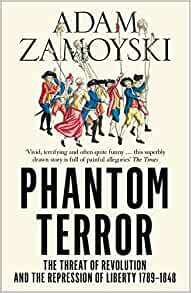 This 19th century “war on terror”, suggests Zamoyski, was based on paranoia more than substance. He delved deep into contemporary police archives to prove his case, supported by a range of secondary sources, many seriously dated and obscure, it must be said. Secret societies, if they existed at all, were amateurish and juvenile. The mass of the people were not inclined to revolution. He debunks conspiracies as the creation of fantasists or the invention of spies. He is inclined to overstate the case – he is a revisionist after all. For example, 1848 “did not add up to anything that could be called a revolution” while in Berlin “it was the fine weather that brought out the crowds”. To be fair he does not deny that there were liberal forces for change, strong enough to force through the 1832 Reform Act in Britain and grant Belgium independence. However, too often these were defeated by the reactionaries who saw moderation as but a cover for extremism. The argument was less of a problem than its presentation. The narrative is repetitive: there is really only so much conspiracy theory one can take, even if it is being skewered; copious descriptions of secret police practices became tedious; simply too much detail on the control of education and teaching. Letters and diaries are quoted at considerable length. I found it a difficult book to negotiate as well – quirky chapter titles offer little guide to the arrangement of material. The principal characters in this tale are the elite – Metternich [especially], Tsars Alexander and Nicholas, Louis XVIII, the Duke of Wellington and so on. The common people are usually confined to the margins, appearing as a mob or a rabble having a riot. An important conclusion is that repression of liberalism for fear of extremism had the important effect of delaying social and political progress in Europe for the rest of the century and even beyond. As other reviewers have noted, much here gives food for thought about the modern world.